The April 2010 issue of Esquire Magazine features a more than 6500 word feature article on Climate Depot’s Executive Editor Marc Morano. At the peak of the consensus, 84 percent of Americans thought global warming was a threat. The only thing they agreed on more was the existence of God. Then Morano got hired as the communications director for Jim Inhofe, the dyspeptic senator from Oklahoma. Setting to work, he began compiling so many inflammatory stories and documents on Inhofe’s Web site, Newsweek said he was “more like a wire service than a spokesman.” He began to use the Web in pugnacious new ways, like printing the e-mail addresses of reporters and scientists and inviting readers to pester them. All this made Inhofe’s office the global center of the resistance, but it also infuriated people. “Morano is unquotable and uncitable,” said one influential climate blog. “Besides his penchant for smear, he just makes stuff up.” Another investigated his e-mail list. A scientist threatened him with a libel suit. Eventually other Republicans started telling Inhofe to fire him — he was unprofessional, they said. He appealed to Inhofe’s worst instincts. By dawn, he’s done fifteen or twenty headlines and the American media is starting to wake up. New posts are popping up everywhere. “This is not a smoking gun; this is a mushroom cloud,” says Patrick Michaels, a contrarian climatologist at the Cato Institute. 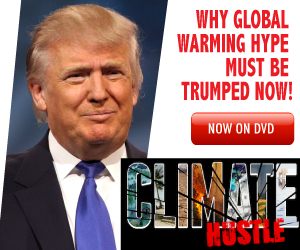 “The crimes revealed in the e-mails promise to be the global warming scandal of the century,” says syndicated columnist Michelle Malkin. “Proof of a conspiracy which is one of the largest, most extraordinary and most disgraceful in modern science,” says Andrew Bolt of the Australia Herald-Sun. Read Full Esquire Magazine profile here.